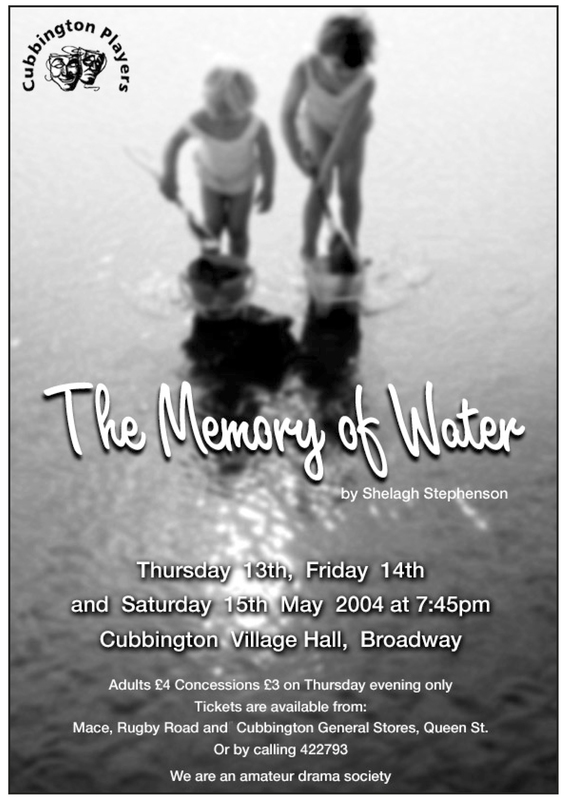 The central theme of Shelagh Stephenson’s The Memory of Water is one of memories – the story of a family as seen and recalled through the eyes of three sisters, brought together for the funeral of their mother. During their unexpected reunion the sisters bicker constantly over conflicting memories about the same events in their childhoods: which sister threw up over the television and which was accidentally left behind at the beach, how one met her husband, what a father knew about a family scandal. As the stories emerge we see three very different characters – the martyr who always dealt with things and tries to organise the others into some semblance of order for the funeral; the ‘bookish’ one who has made a successful career for herself in medicine but a mess of her private life; and the youngest one – a drugged-out, self-absorbed shopaholic desperate for affection – from anyone! And we meet the mother and have a chance to make up our own minds about how the daughters turned out to be so dissimilar and yet so alike. Add to this mix the lover of one sister and the husband of another and you have a play rich in insight and characters: at times hilarious and at times poignant, but one which is likely to remain in the audience’s memory for some time.